Adjust the vox reduction with the Intensity setting. 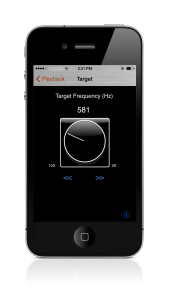 Toggle the “Filter” button to activate the Target and Width settings. 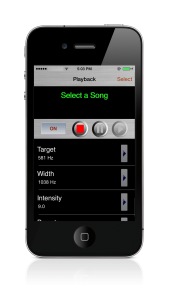 This allows the user to reduce only the selected portion of the audio signal. 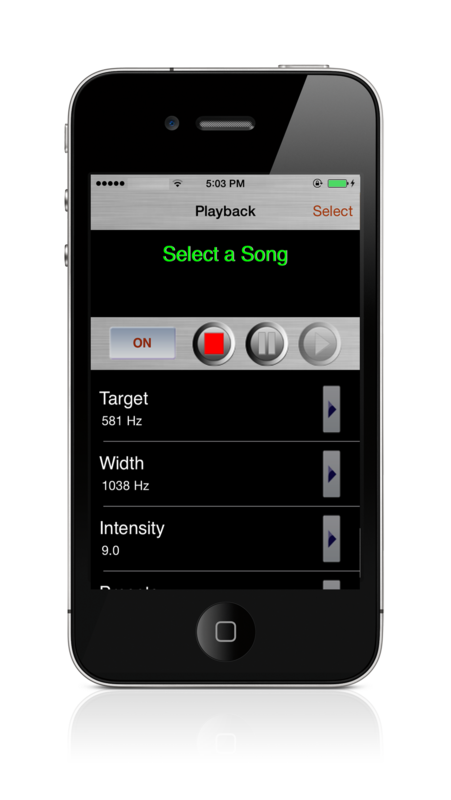 A new view will appear with a rotary knob, Scan forward/back buttons, and Nudge forward/back buttons. Adjust the settings as needed. Select the Info button at the bottom right for more info on controls. The On/Bypass toggle buttons to the right of the player panel will activate or deactivate the reduction and filtering. The red Stop button will stop playback, and the yellow Pause button will pause playback. To resume playback after selecting the pause button, select the play button again. 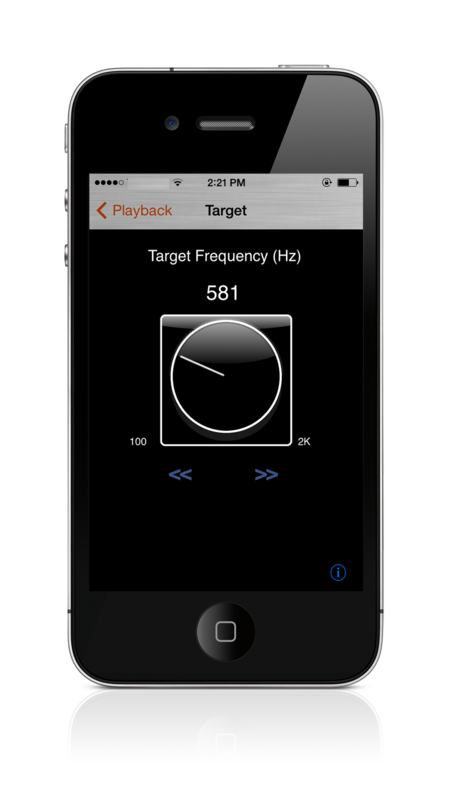 Target – Adjusting the “Target” sets the target frequency of the music track to be processed. For singers with lower voices the setting will be lower end frequencies, for singers with higher voices the setting will be higher higher frequencies. Width – Adjusting the “Width” expands or contracts the size of the processed portion of the audio spectrum around the target. So, if the vocalist has a short range, then set the Width to a lower value, if the singer has a wide range, set the Width higher. The factory settings are a good guide.